The Odette Ballpoint Pen is a retro classic featuring 4 push button, retractable ballpoints in one 80's nostalgia trip of a barrel. Ink colours are black, blue, red and green from a quality refill (1.0mm nib). 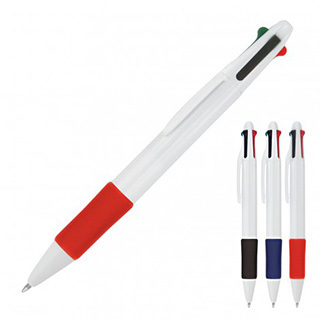 Plastic promotional pens rarely come at better value when printed with your logo or brand as a corporate gift.